All of the below information comes directly from job reviews written by DHL Supply Chain employees based on 144 reviews. DHL is committed to bringing in and developing Emerging Talent across all levels of the organisation. The roles and opportunities available with DHL are as diverse as the people who perform them. Many of our employees spend their careers in various roles working their way up through different departments and divisions (and sometimes different countries too). We think this says a lot about the sort of company we are and it’s something of which we’re exceptionally proud. 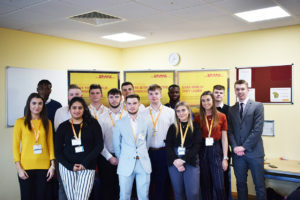 To help us continue to run the successful business DHL is today, we invest a significant amount of time, effort and attention in our graduates and apprentices – who we truly see as our leaders of the future. And we know this for a fact as we have a large number of real success stories across the business! With us, not only will you be developing your knowledge and understanding of the logistics industry, but you will also grow both professionally and personally. From the moment you start with us, you will be given real responsibility – whether that’s for people, budgets, projects or processes. They all need to be managed effectively to ensure we continue to drive our vision of being ‘The Logistics Company of the World’. What makes you a great company to work for? DHL is extremely invested in our graduates and apprentices, so much so that we have won a number of awards that we are really proud of. We feature in RateMyApprenticeship’s Top Employers Table, Job Crowd’s Top Employers for Apprentices Table and Top Employers for Graduates Table and placed in the Top 50 Undergraduate Schemes at this year’s National Undergraduate Employability Awards. We hope our success, and therefore the success of our apprentices and graduates, continues! Immediate trust and responsibility from the company. The responsibility you are given at such an early stage in your career. The opportunity to travel within the country and abroad. I have seen places that I would never have seen previous to joining DHL and that has been a real eye-opener for me. As this is such a large company, there is so much going on and opportunities come in abundance. Meeting new people, solving interesting problems. Interesting and varied and good work/life balance. Respect for graduates, they are seen as an asset to the business. The culture and people are lovely, everyone is friendly and you will feel comfortable immediately. Holidays and pension are good benefits. Variety of opportunities for learning and job roles. Responsibility given and willingness of the company and the graduate team to invest in you and make the most out of your scheme. New challenges every day and no boredom. There is a lot of variety in my job and a lot of early responsibility, which helps you learn quickly. Learn and develop a variety of skills, great responsibility and every day is different. The variety and flexibility. I get to travel to different sites and do lots of different training courses which make each day at work really different which I love. The flexibility of my work and self-management of my time. The projects and the autonomy to take them in the direction that I feel best suits the business is a great thing about my role at DHL. I am given the responsibility and the accountability to learn, achieve and succeed (and fail) - I do not feel all grad schemes and companies allow the grad to have value-added projects where an outcome is expected. Real responsibility; tasked with real projects and problems. Fantastic opportunity to network within the company. Size of the company is overwhelming at first but the more time you spend at the company the more you can embrace this and seek opportunity. Opportunity to complete CIMA studies alongside work through an apprenticeship route where there is an outstanding amount of support both from the business and BPP. A huge range of activities - from tech startup to tender responses. If you have an industry or company you want to reach, chances are DHL have links to it. Global links, having worked in bid management in Madrid within first year. If you have a language, publicise this to the grad team and you might get an opportunity. You meet a large amount of leadership who joined through the graduate scheme. The internationality of the business and the fast paced environment that we are working in. Lots of responsibility which enables lots of learning and skill development. High level of responsibility in an ever changing market. Support operation, work closely with management. My team interact with so many functions that the opportunities are endless. There are always new people to meet and work with. I enjoy working with and managing a team of people. It's unlike anything I have done before so I'm enjoying all of the new experiences. The role has definitely helped with my confidence and ability to communicate with people. The experience of being able to be a part of the launch of the new Range Rover by bringing the new parts onto site and planning the storage area before they go to lineside. I am able to put my study into practice in the workplace and the opportunity to achieve a degree through my apprenticeship is amazing. I enjoy working in a team and the time and support they have given to me in teaching me the business and the job role has been great. I get a great salary! I am always busy with all the different projects/tasks to do! I enjoy being busy and I enjoy the tasks I have been set. Shift times - start at 6:20 and finish at 2:30. The team around me - extremely supportive and great to work with. The motivation for career progression. Working at Jaguar Land Rover. Continuing from this, the location - close to home so not much commuting. Being able to plan the workload, organise the team, communicate with colleagues. It's varied, no two days are the same. Everyday is a new challenge and is never the same as the previous. I have the benefit of working along side some very experienced people, who I learn from every day. The people I work with on both my placements have been great and made it very enjoyable. The responsibility I have had and range of roles/tasks I have carried out have allowed me to learn a lot about the industry and company, while also developing my personal skills (confidence, leadership, team working, management etc.). This scheme gives you opportunities to move around the business, network and find opportunities to progress your career. They are looking for people who have the ability to grow into leaders and are good at problem solving/thinking a bit differently. Get stuck in with everything, don't sit back. Research DHL well beforehand and have a good knowledge of the range of things they do. Have examples prepared for when you have demonstrated relevant skills, and just be yourself during the assessment day. Engage with everyone at every opportunity. During group exercises make a point of including everyone, especially those that haven't taken part in the conversation. Do not try to be the person you think that assessors are looking for, just be authentic and genuine and you are likely to be successful. Be honest. Highlight examples where you've shown true leadership. Demonstrate that you are someone who thrives on responsibility and decision-making. Do your best to illustrate 'emotional intelligence'. Working well with a diverse range of people is fundamentally important to succeeding in supply chain. Take it easy, be yourself, read up on DHL's core mission and values, take your time. Have STAR examples ready, be prepared to go into full detail about past work experience, keep calm etc. Only apply if you are actually interested in Supply Chain and Logistics. The interview was part of the assessment center, use it as an opportunity to ask the interviewer about themselves and get a feel for them. This will turn the interview into more of a two-way conversation. Apply for the graduate scheme if you are hard working and want to work for an interesting, varied and successful company. Answers aren't probed so answer the questions fully. Be professional, friendly and show enthusiasm. Show your true personality and if it is a match to the DHL culture you will be fine. Listen to everyone in the group tasks, make sure your opinions are heard but do not overpower or dominate the group. Try to demonstrate an interest in the industry and highlight any relevant experience. DHL understand you may not have a lot of knowledge of the industry but will look for people who demonstrate their interest and willingness to learn. Demonstrate knowledge of the industry and passion for why you want to join the industry. If you have the desire to learn and become an industry expert in a range of areas you'll be successful. Show your interest and why you want to work in the industry. Be genuinely yourself, do not try to textbook answer any question! Be confident, skills don't matter, personality and how you hold yourself does. You need to show you can control a team and hold responsibility. Be thoughtful about your application and take time with it, don't just fire it off. Be yourself, relax and know that DHL are looking at your personal qualities as well as your answers. Process involves a variety of tests e.g. numerical, competency. Practice questions such as competency based answers. Be yourself, and research the company well. I can't remember what questions I was asked, but giving lots of examples is really important. Be honest as much as possible, not looking for numbers, just your thought patterns. Be honest as much as possible, not looking for numbers, just your thought patterns, be clear with what you are saying, be prepared. Think about why you're applying for that role and not applying randomly, you need a passion for DHL and logistics. The process is quite extensive but this is to make sure you are right for the company and on the flip side of this, the company is right for you. You need to make sure that you are joining a company where your values and expectations match that of your employers, this justifies the numerous stages if the application process. Be yourself and do not over articulate your approach. You are a person, not a robot - show that. In any organization and especially logistics you have to be a people person, the skills can be taught. Show an interest in both DHL Supply Chain and the Logistics industry. They are open-minded to the subject of the degree that you have, so don't be caught up on whether your degree is directly appropriate. Always show enthusiasm when answering questions as they look for keen individuals. Interview is in the form of an assessment center/experience day. Day made up of 2 group tasks, an individual presentation and a 1-2-1 interview. Group tasks are looking for active leadership, teamwork and communication, so be sure to always give your input into the scenario. Timekeeping is vital during these tasks. The presentation is highlighting your communication skills and the ability to stick to the task and deal with on-the-spot questions. They are not assessing the material of the presentation itself, so don't be caught up on this. The interview will require lots of examples from your past experiences (not just work - uni, school, part-time jobs, hobbies). Be confident and make the most of being able to talk to other candidates, current graduates and assessors. Be honest and open about your experiences as these will identify the best role for you. Be yourself, use the opportunity to talk to DHL representatives - applications are as much about making sure a company is a fit for you as for the company to make sure you are a good fit for them. Everyone I have met in DHL has been very generous with their time and open and honest about what you can expect from the company. Great thing about the process is that there are multiple opportunities to showcase what you have to offer the company. It isn't all on one pitch or one interview, and no-one is trying to trip you up; just trying to give you the opportunity to share what you have to offer. Just approach it like that and enjoy the assessment centre day. Be sure you want to spend time in operations. Be clear about what you want to do in future placements - if you argue a case, they accommodate. If you don't, they fill spaces as they see fit. Take your time and think logically. Think in a logical manner and give practical examples of your experience. Be confident in your ability. You need to be the right person for the job, lots of people management is required. Most of the graduate schemes are heavily operational. You have to be comfortable with this. It is likely you will have to relocate but that is a good thing. Be confident. Show your people skills. Management, quick thinking and strength/quick decisions in sticky situations is key for this role, make sure you give examples of this. Be honest, concise but big yourself up. Dont be afraid to boast. Be confident, walk in and make eye contact and shake hands. It is important to be confident but not arrogant. Make sure you come across as a confident individual but do not overpower the application with over-inflation in self importance. Be calm and make sure you have done research into the company and wider industry. Knowledge of the company impresses people. In group tasks, do not just be the loudest in the group, be the one who is including quieter individuals in the group. Research into the company's policies goes a long way. Have a clear vision of what you think you can offer and get out of the company (even if that isn't a clear link to Supply Chain, there's a high chance you can personalise your experience towards it). 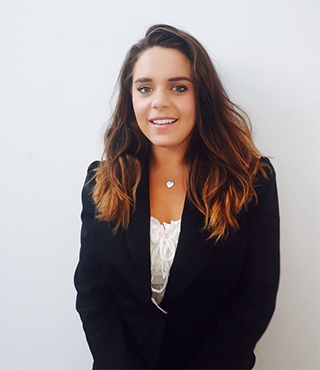 Connect on a personal level, I was offered a job at first outside of the grad scheme because I got along so well with my interviewer and then proved myself to join as part of the scheme the following September. Inform yourself about the company and realise that DHL is not only delivering packages but way beyond. I would advice to gather as much information about the vision, mission and goals of the company. Be yourself. Show your skills and be a team player. Show enthusiasm and take feedback on board. I did a lot of research on the company and its value and decided I wanted to apply. I read up on the industry to get a basic understanding so that I was able to join in discussions at the assessment center. The interview was very relaxed and conversational so it's important to remember that you are being interviewed. Do your research, think why do you really want to be in logistics. Give practical examples of skills you wish to demonstrate. The company is looking for curious and enthusiastic individuals, so be yourself, research the company and show that you are motivated. To be yourself. DHL is all about people and interacting with others. It is so important to stay focused on what drives you and be open to learning and developing. Again, be yourself. Be open and honest. DHL are looking for someone who is driven, who is enthusiastic, and passionate. If you come across as someone who is a Can Do and Passionate person, you will fit right in. It's not what you expect. There is less structure from a graduate perspective, but you will get a real understanding of finding your feet, making the best of the assets you have, managing under pressure and learning from your mistakes. Show a genuine interest in Supply Chain. Whether you are applying for the operations or a role within one of the functions. Be open-minded and flexible when it comes to job role and location. Be prepared - think about competency based questions and have examples ready. Research the company and role beforehand and speak to current or past graduates if you are given the opportunity. Prepare examples for what you may be asked, and have practice interviews with friends or family to help prepare you on how to give a structured, detailed answer. Using the STAR method really helped me. Always ask for feedback, even if you are successful. This will be useful in furthering your career and we can all improve. Do research on DHL and look at how your own experiences, e.g., charity work, sport make you a good fit for the company. Being able to give examples of things you've done will really help you with answering the questions. Also, try to relax and let your personality come across. Look into the DHL supply chain - you will be amazed at how many different companies they work with. Stay calm, try to talk to as many people as possible. It is an assessment centre and a long day so make sure you get some rest the day before, and you know how long it will take to get there. Research the company history and strategy before applying. Also, ensure you have good examples of interview questions; an example to show how you were involved in that situation. i.e give an example of when you have worked as part of a team. What was your role within that team? Answer this question by setting the scene, stating your role and saying what skills this gave you/how you coped etc. Understand the size of the company and know what you would like out of it. It's give and take, you get out what you put in. Do your homework about the organisation and how that fits in with your personal profile. Confidence is also a big part of the application and how well you execute under pressure. Be yourself and have an open-mind. Everyone is in the same position, try your best to enjoy the day and relax. Before the assessment center I was nervous because of a few previous experiences, but I can honestly say the assessment centre at DHL is extremely relaxed and allowed me to portray my true personality. Be very clear if you do/do not want to work in a particular sector. The graduate team would prefer you to be honest so that they ensure you are placed in the best position instead of having to try and move you once you start. Draw on as much experience as possible, have confidence in what you are saying. Always show how passionate you are. Pay attention to the company values as they are incredibly prominent in my day-to-day work. Also, listen to instructions at assessment centres - I saw too many people fail at tasks because they did not listen. Use a variety of examples in your responses. They want to see a well-rounded individual with a number of good experiences. Be as honest as possible and make sure that your application reflects your positive attributes. Engage the interviewer, explain any past relevant experience and how it has helped you. Prepare thoroughly for each stage of the application process, and be yourself. Questions vary - make sure you do research on the company, and prepare to answer questions regarding your previous work experience etc. Before applying; do your research- there is more to DHL than meets the eye, this is not to impress potential interviewers but to open your eyes to what is really out there and what DHL can do for you. If successful, make the most of networking opportunities and if you want a certain experience or training- ASK! DHL invest in people. Let your personality shine through- don't be who you think they want you to be... be who you are. Get involved and ask questions. Think about why you want to work for DHL. Have a good understanding of the company and how/why you think the role will be suited to your own experiences and career aspirations. Do a lot of research on the company. DHL is massive and there are so many areas that it is made up of. All questions were competency based in the interview - good to have lots of examples ready. Try to forget about nerves during the presentation - put on an act, take your time and introduce yourself. Be confident and be tough - Have to manage a large amount of people and in the environment you can work in e.g. Warehouse you need to convey control and authority, whilst gaining the respect of colleagues. Competency based questions. Be confident and appear as though you won't be a pushover. Practice your SWAT style responses. Research the company, as there are many different areas of DHL people don't know about which would impress the recruitment team. Get in early and be fully prepared at every stage. Do a good amount of research into the company, as this will be tested. Also ensure you show an interest in the field, as this will need to be justified. Go for it. Many opportunities. Be yourself. They look for personalities. Take on every challenge and be open to new opportunities, even if they may not look to be appealing. Every opportunity has the potential to teach us something. Make sure you are very familiar with all the previous experiences you have done that relates to the role criteria you are applying to. 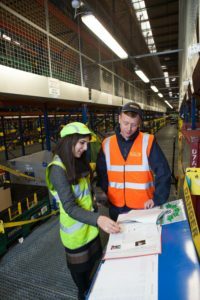 As DHL Supply Chain is such a varied role, you don't need to have prior knowledge on supply chain but knowledge on DHL and why you want to work for the company is important. Listen to what the interviewer is asking you and make sure to answer concisely, giving plenty of examples. Keep your options open, the business has a vast number of customers and business units and sometimes it's best to step out of your comfort zone and watch yourself grow in ways you would never have imagined. The questions asked at the interview stage do not follow your standard interview structure (what do you know about DHL?, why do you want to work for DHL? ), so plan for all kinds of questions and drawing on personal work experience is essential. The assessment centre is daunting as the assessors are all from senior IT management, prepare well for the competency based interview, have good presentation skills and have the ability to work well in groups. Research into the business properly and start work willing to learn with an open mind. DHL Supply Chain is a huge organisation with many divisions and sectors, and any one warehouse operation or office can be completely different to another. In this organisation, it's important to remember its size, scope and opportunities that it can offer. Give relevant, real-life examples rather than made up research that doesn't explain anything. Focus on understanding company's strategy. This will give you the right guidelines to achieve an attractive profile. Demonstrating knowledge of the strategy will make you distinct. Read job advert and answer any question in a way which shows your strengths. Prepare examples of answers to questions you may be asked (e.g. as describe yourself, provide an example situation when you worked as a part of a team etc.). Practice presentations and mock interviews in front of a camera so you can review your mistakes. Or in front of friends. Make sure you do your background research on DPDHL before attending the assessment centres. Be yourself! Always follow the STAR approach when answering interview questions. Make sure to read up on the company and most importantly what you're good at. They will teach you on the role, it's not about what you know already but the passion and drive you can bring to the company. All the usual competency questions are essential - but not just the generic ones, they might ask you several questions on just one experience so make sure to be able to explain in depth! - Prepare well for the application process: online application (with questions relating to past experiences), telephone interview, assessment centre. - Reasons you want to work for the company? - Reasons you want to work within supply chain? - What management skills do you think you have got that would fit to the scheme? Ensure you are flexible with location and working hours. Be open with your thoughts and needs to progress and the experience you would like - ask and you will receive. If you want responsibility early on - this will be a great choice. Show your willingness to learn. Show how you can deal with difficult situations. Look at other supply chain organisations that can offer international travel. Practice numerical reasoning tests and be yourself throughout the process. Apply early - assessment centres are filled up on a first come first serve basis. Do your research about DHL and some of their customers, and bring examples to discuss for the assessment centre. Show how much you want a job with DHL. Don't forget to prepare your own questions. Even if you feel like other people have answered them already, your interviewer won't know that! Understand what the assessors are looking for. Bring a lot of soft skills. Be relaxed, natural, reflective and team player. Be open minded anything is possible. Be prepared to possibly move away from home. Be honest, be prepared. Try and have different scenairos to base your answers on. Go onto the DHL Graduate website and make sure your CV is tailored to the skills they mention. They ask why you want to work for DHL, show passion and enthusiasm and do your research! Before the assessment centre you are given a brief of how to prepare. Practice how you would answer the questions and follow all the points of advice they give you. Draw upon all of your work and university experiences where possible. Whether you know what you want to do later in life, or are not yet fully sure what it is exactly you want to do, DHL will offer you a possibility to explore both options. The graduate programme is great for people making the transition between University and full time employment. None. Be genuine and if it works it works, if not, not. Just be confident in your own worth. This graduate scheme is a good place to get exposure to the logistics industry but it is not an accelerated start scheme. Any applicants must be prepared to fight hard to get the experience they want and should not expect there to be the structure to support their ambitions. On your assessment day you will be asked to complete a series of exercises from demonstrating your ability to think quickly, collaborate and present your findings. Speak up but be yourself. They are not looking for the loudest voice in the room. For the interview itself the most important question to answer is why you want to join the logistics industry and DHL in particular. Do your homework on DHL. When I applied I had no logistic experience, however I showed I was hard working, committed and forward thinking which stood me in good stead. As I was applying for a graduate management scheme showing that I had good leadership experience and was well organised was key. DHL likes 'real', 'salt of the earth', 'hard working' people. There is no need to put on airs and graces or be pretentious. The company wants to see that you are willing, able and will get on with people. Many of the top level guys worked themselves from the bottom up so although they appreciate the value of bright people they won't be interested in your academic studies. Talk about 'real life' or 'business' experience rather than how many A levels you have or the 'first' you are currently on track for. If I could give one bit of advice it would be ask the interviewer (or anyone you meet in the business) how they got to where they did career wise... Everyone loves to talk about themselves and if your asking them it makes it appear you value what they have to say. Make sure you ask a follow up question to show you have been listening. E.G. you mentioned that you had experience starting up a new warehouse, can you tell me more about that? It sounded really interesting. Be honest about previous experience, the company anticipates you having little relevant knowledge and is looking for core competencies to develop rather than definitive experience. The interviewers are almost always people who work in regular roles within the businesses, not defined human resource members. Therefore although they will have interviewing experience, they are not expecting well oiled answers, more honest answers. Don't be afraid to ask the interviewer questions. As much as possible remain relaxed, and enjoy the experience. Almost cliche, but sound advice! If you want a company with a lot of scale, that has lots of different opportunities, lots of areas to experience and complexities to overcome then it is definitely the right place for you. DHL is a challenging environment with enough diversity to keep you engaged. Be yourself, be confident and understand that we aren't looking for a group of people who have done it before, but people that will get stuck in, show their commitment to what they are doing, be able to think about problems logically and work with others to come to a simple solution that works for both our customers and for DHL. Corporate strategies surrounding carbon emissions and environmental protection, as well as a fantastically strong brand. Often too ready to throw themselves into opportunities without enough thought and planning, making the colleagues that have to implement new contracts overly uncomfortable. The people. People want you to succeed. There is an atmosphere of everybody trying to develop and better themselves. Your manager will always help you with your ambitions. Wouldn't say there's a 'worst' thing. It's a good company to work for. Lots of opportunity to progress and interesting work. Always new businesses coming in and change so lots to do. Size, scale and continually improving culture. 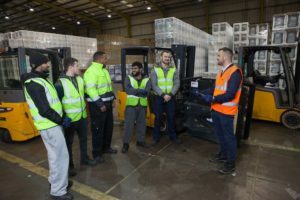 DHL are the biggest logistics company in the world meaning there are unlimited opportunities, and the company is doing a lot of work to improve its corporate culture and bring all sites up to a standard level. As it is such a big company, some sites are left behind others and do not develop at the same speed, leaving variation in standards between sites - although this can be seen as an opportunity to implement improvement opportunities. The industry that DHL work in isn't the most glamorous. There are so many opportunities and the Graduates are quite privileged in their position within the company so opportunities are vast. There are some quite antiquated cultures across some of our sites which can make getting things done quite difficult. The size, the people and the progression opportunities. Individual components of the business sometimes only concentrate on their area and end up individualised, almost like a smaller company. Commitment of management to helping others succeed. Too reliant on being "a big name/brand"
The size of the company. It is larger than any external candidate can imagine. Also the culture - almost everyone is happy to have help you in with career, give advice and put you in contact with prospective employers within the company. The processes to get things done in some cases - such as IT issues, finance issues. Due to the size of the company is can sometimes take a long time to receive certain approvals. A huge reach, with the potential to link up with almost any industry. Change is slow and the diversity at higher levels is very limited. friendly, big, easy to communicate between departments, room for challenge / progression career wise, multiple locations around the UK / World to work, covers all sectors, can change career path but stay in same company, educational support in terms of training. It takes a lot of effort and initiative to get recognition as DHL is a huge company. You really have top show yourself and prove yourself. Variety of work, contracts, size of company and the number of opportunities, instant responsibility available. The people in the business. The wide range of differing activities that DHL does and the customers that it works with. The business is split into Business Units that can act as silos. As a graduate you do rotate through some of the sectors but I don't feel there is much cross communication apart from at a more senior level. Size and variety - it is such a large company that you can find out what interests you. As all grads are spread across the country there are only occasional meet ups at graduate days and Christmas. lack of structure for graduate program. Opportunity for development and progression, as well as the degree of responsibility and trust. The size of the company can sometimes be daunting. DHL is a diverse organisation with endless opportunities to travel the world and experience operation you never thought possible. Size is so big, you need to make a noise to ensure you are noticed. Some sites have a lot of long serving employees, therefore going in as a young, enthusiastic graduate can on occasion get peoples guards up. Countless career progression and development opportunities. Such a big company, it is difficult to clearly see where these progression opportunities can be. Opportunity- A global company with different divisions, areas and functions all with shared values but a new experience on each site. There isn't really a worst thing- The only thing would be there are elements of the company that are a bit old school. Massive amount of opportunities to progress and a good 8% pension. Locations available and the slow pay rise over time (limited to 9% per performance review). A salary increase from 25k to 35k will take roughly a year if you meet all targets so some people find this frustrating as they are doing the job to the standard of someone on 35k yet don't get the full pay. It's to stop corruption so it has and good underlying principle though. the company relies heavily on graduates so there is plenty of exposure with top level management from the very first day. The rotation that I am currently on means that all of my work is computer based and so I am not getting any operation exposure as of yet. Quite slow and frustrating to make anything happen - lots of processes. Contract and tender based. So if the site you're contracted to loses a contract you can be unemployed or be toupeed across to another company you may not want to work for. Relatively old fashioned work place rules. As it is such a large company there is always opportunities to give yourself a new challenge. Size - DHL Supply Chain is a huge organisation. Consequently, there are ample opportunities to move around the business and experience different roles and positions without having to leave the company. Again, size - divisions can become silos, and being away from all candidates of the core graduate intake can sometimes be demotivating.